It’s 12.19 and I’m waiting for lunch break. I’m dreaming and craving of that perfect, sumptuous, and easy office meal (shout out to One Small Step Collective’s pantry!). Something that will ideally sate both my stomach, and social media appetite. Gotta broadcast my food with the world, otherwise it never really happened right? Obviously, the only thing simple and beautiful enough for both purposes is the classic avocado toast. But how should I smash my avo? So many delicious options. 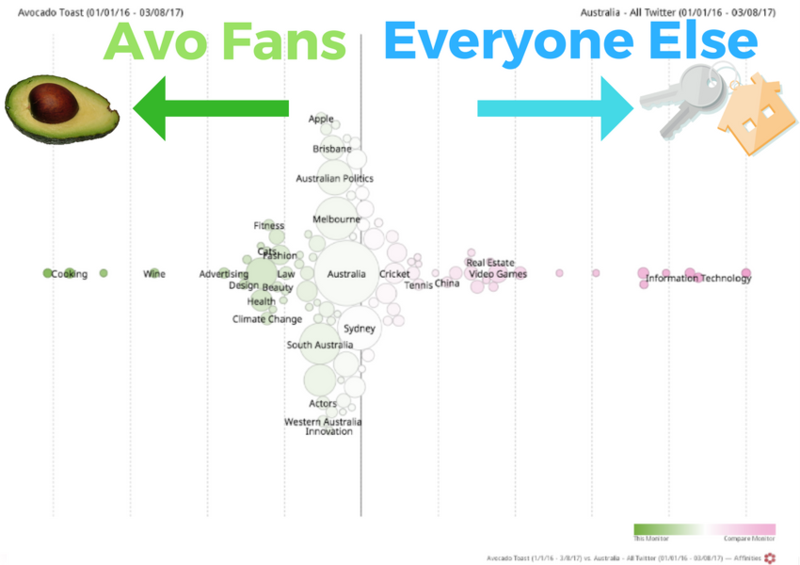 I turn to Crimson Hexagon’s social listening and analysis tools to see how Australia likes to ava’ avo. Behold, the top ten ways to eat avocado toast according to social media! Ok, but first. Why avocado toast? Like many others millennials in Australia, I can’t afford housing. Unfortunately, I also can’t afford the circa $20 price tag that comes with smashed avocado at fancy Melbourne cafés either. 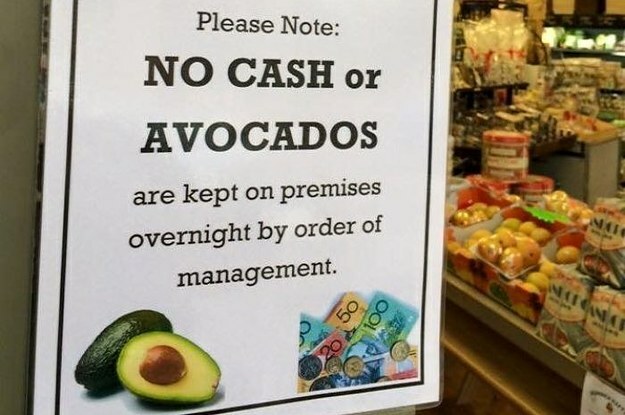 But, I want to play devils avocado, and understand how Australia is driving itself into delicious debt…. 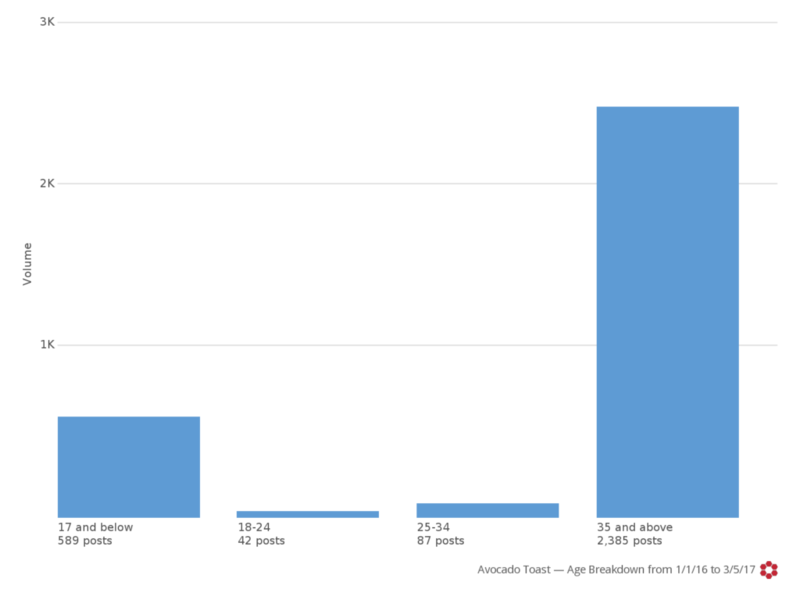 Avocado toast is the trending food on social media at the moment, with a staggering 20,116 pieces of content created from the 1st of January 2016 to 17 March of this year. That’s a lot of avocado toast. Because I can, and why not? We’re talking thousands of people who idolise this green-slathered slice of sourdough magic. The avocado toast fan-club looks something like this. 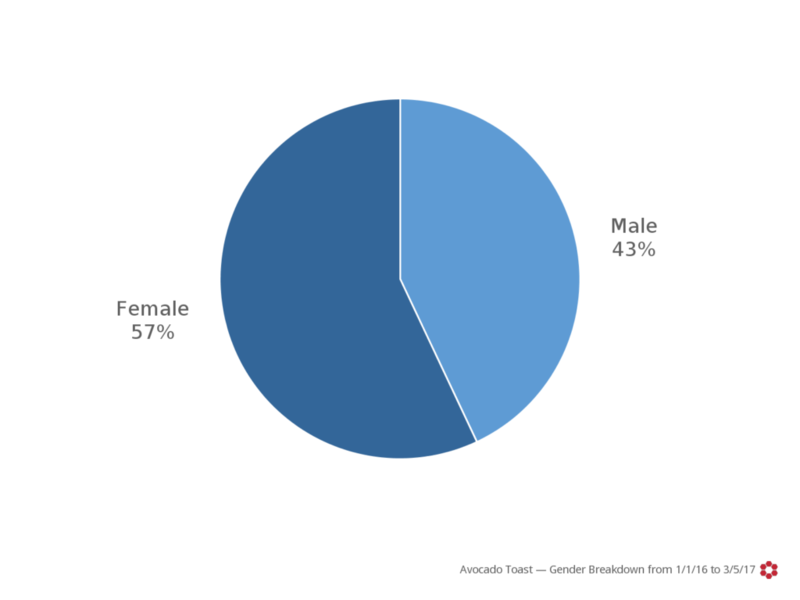 Note: Gender results are based off 10k posts (50% of total social volume) with an identifiable gender while age results are based off 3103 posts (15%) with identifiable author gender. 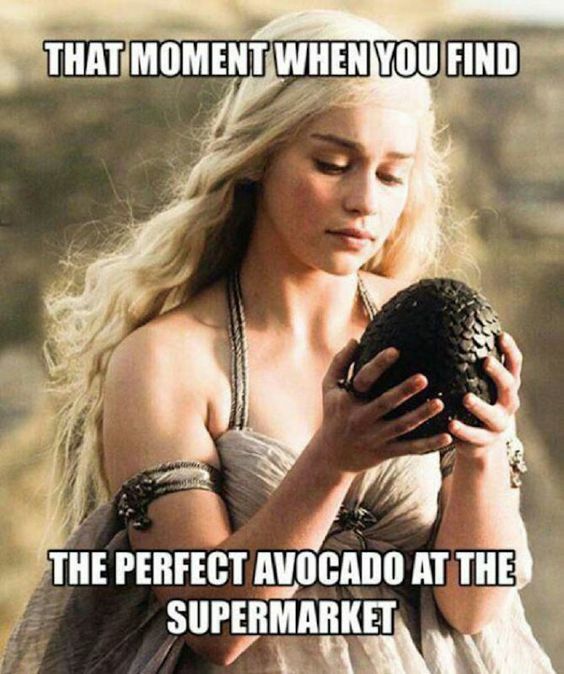 More girls love a good smashed avo. Using Crimson Hexagon’s Affinities tool, I also screened the audience affinities to see what else they aligned themselves to. 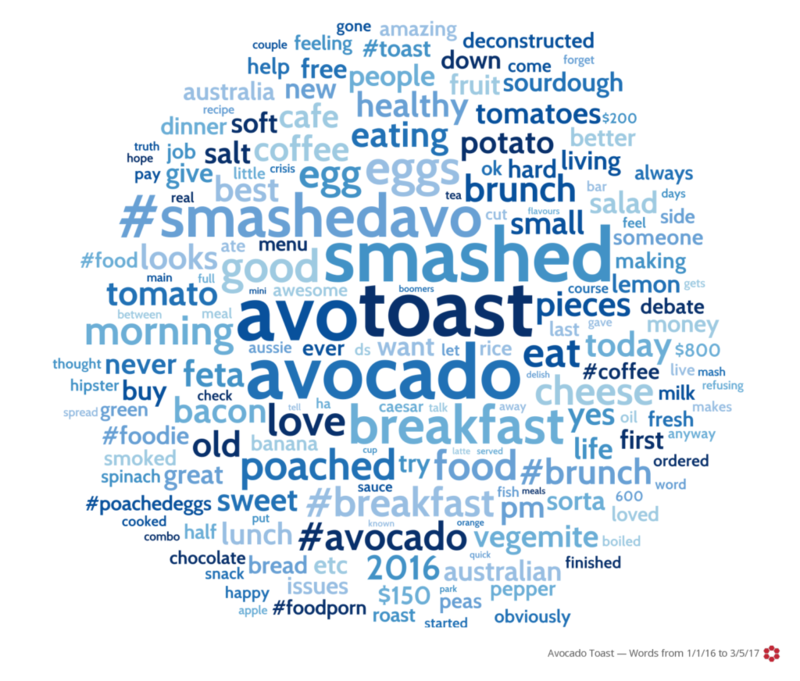 This shows what else the avocado aficionados are chatting about on social. The topics in green (appropriate) are other topics this audience has shown interest in, and the topics in red are topics they are underrepresenting. Based on the data, we can assume the regular avocado toast eater is a female wine-enthusiast over 35 working in the creative (advertising, design, fashion etc.) industry. Probably likely to own Apple products, environmentally aware, but not be into IT or gaming. Once a luxury experience, brunch has now become more and more accessible to Australians everywhere, with South Australians showing slightly more affinity than the hipsters over in Melbourne and Sydney. As you can see, there are tons of ways to glam up your classic avocado toast. And there you go, the top ten ways to eat your Avocado Toast according to Social Media along with some stats to make your DIY breakfast or frivolous café brunch splurge ever so important. Thanks to Crimson Hexagon, brunch is served! What Are Melbourne Agency People Good For? Nothing.